PHOTO 1. A benchtop oxygen meter. Bottling is the last stage where oxygen can be dissolved in wine, causing negative quality characteristics, before the wine reaches the consumer. The possibility of oxygen absorption in wine exists during each process of bottling. Seeing that bottling usually takes place at lower temperatures, the oxygen dissolution is also influenced. It is recommended that the dissolved oxygen in bottled wine is lower than 0,6 mg/L and 1,25 mg/L for white and rosé or red wines respectively. It is however best to be as low as possible. This implies that it must be 0,5 mg/L or lower prior to bottling (www.hannainst.com). During bottling the dissolved oxygen should not increase by more than 0,8 mg/L, but preferably not more than 0,2 mg/L for white wine and 0,5 mg/L for red wine. If the necessary precautions are however not taken during bottling, the increase can be up to 4 – 5 mg/L. The dissolved oxygen in bottled wine originates from the dissolved oxygen in the wine, as well as the oxygen in the headspace after bottling. This is known as Total Package Oxygen or TPO. Unless a vacuum filling machine is used, up to 2.8 mg/L oxygen can occur in the headspace. After bottling the TPO concentration should be lower than 0,5 – 0,6 mg/L in white wines and 1,1 – 1,25 mg/L for red wines (www.vinlab.com). The potential dissolution of oxygen in the wine can especially occur during the transfer, filtration and filling of the wine and is determined by the headspace in the bottling tank, filler and bottle. When wine is transferred to the bottling tank, all pipe lines and the tank must be purged beforehand with an inert gas like argon, nitrogen or carbon dioxide. It is also desirable to fill the headspace of the bottling tank under a low counter pressure of inert gas. 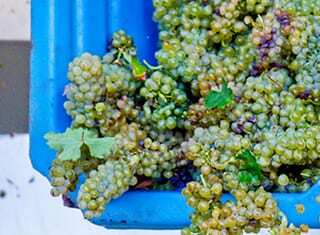 Although a carbon dioxide concentration of 300 – 600 mg/L will lend freshness to white and red wines, higher concentrations can cause an unacceptable sparkle in the wine, because carbon dioxide is readily dissolved in wine. Too high carbon dioxide concentrations can also cause pressure in the bottle, which can lead to the popping of corks at a later stage. A mixture of nitrogen and carbon dioxide may consequently be more acceptable. The possible dissolution of oxygen during filtration can be prevented by ensuring that the filter is tight, the supplier’s prescriptions are adhered to and the pipelines around it are purged with inert gas. The filling of the chamber of the filling machine is one of the main sources of potential oxygen dissolution in wine and up to 2 mg/L oxygen can be dissolved there. It must consequently also be filled with inert gas. The lengths of the filling nozzles and their filling jets, as well as the pressure of wine filling play a determinative role. Filling nozzles must be as long as possible and nitrogen can be used with great success to fill the empty bottle and headspace after the filling of the bottle. The closing of the bottle is the last possible stage, where oxygen can be dissolved in the wine. The creation of a vacuum in the headspace of the filled bottle is one of the solutions that can be used. It is also essential that the filling machine and bottle closing machine are as close as possible to each other to limit oxygen exposure. The bottle closure that is used determines the extent of oxygen migration into the wine after bottling. The so-called oxygen transmission rate (OTR) differs between different bottle closures. It differs in increasing order for screw closures, technical corks, natural corks and synthetic closures. 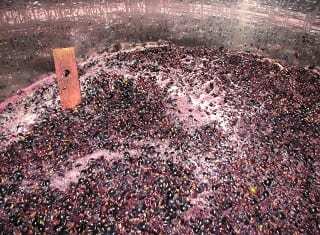 Seeing that the OTR may also differ individually within the same type of closure, it declares why bottle differences sometimes occur in the same wine (Steiner, 2013; Jung et al., 2009). Oxygen control during winemaking and bottling can however only be applied if the dissolved oxygen is measured. It is consequently important to determine it after rackings, before and after transfer between containers, prior to and after filtration, during maturation, prior to and after bottling. This is not only to ensure the wine quality, but also to evaluate whether processes are executed optimally and effective (www.hannainst.com). There are two types of dissolved oxygen meters, namely those with optical readings or those with electrochemical sensors. The latter are usually cheaper, but require more regular maintenance and calibration. Meters are available as bench top or portable models and cost between $500 to $2 000. The meters with optical sensors are apparently a better choice in the cellar environment for measurements in containers. Before a choice is made, however, it is advisable to obtain the applicable information which is available from suppliers (Lasky, 2018). PHOTO 2. 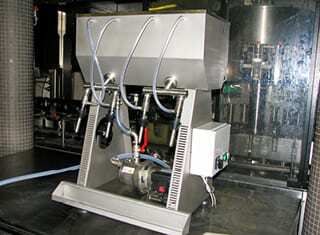 Filling nozzles of filling machines must be as long as possible. FIGURE 1. 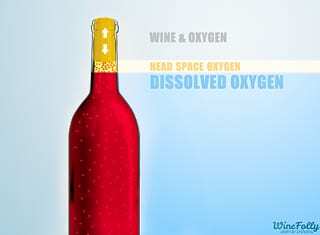 After bottling oxygen can occur in the headspace or migrates through the bottle closure (illustration: WineFolly). Jung, R., Freund, M., Schüssler, C. & Seckler, J., 2009. Impact of oxygen level in wine at bottling. Wines & Vines, September/October 2009. Lasky, M.S., 2018. From lab to tank to bottling line. 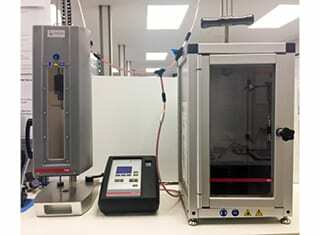 Finding the right oxygen analyzer. Wine Business Monthly, September 2018: 12 – 18. Steiner, T.E., 2013. Strategies to manage dissolved oxygen. 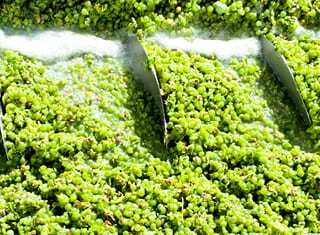 How to identify practices that prevent unwanted oxygen absorption in wine. Wines & Vines, August 2013.